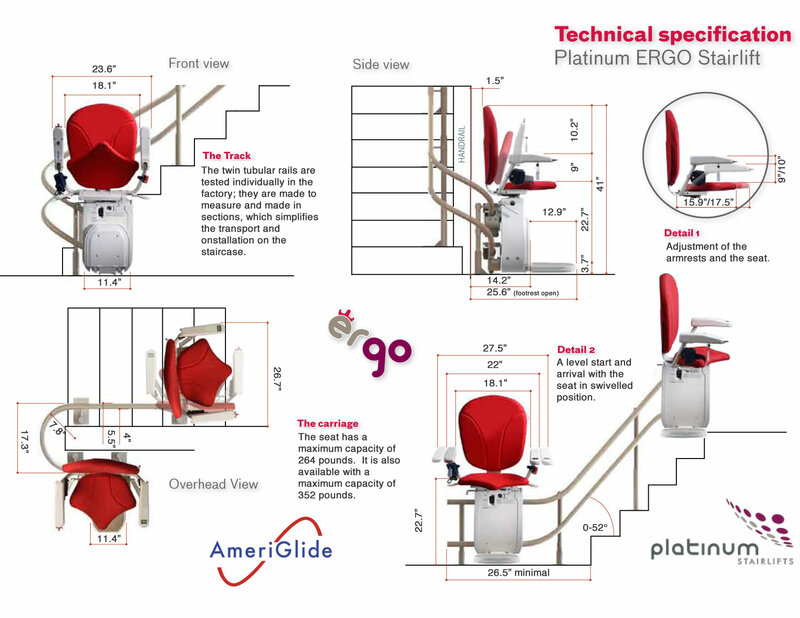 The new AmeriGlide Platinum Curved Stair Lift can be custom designed to fit virtually any type of staircase. 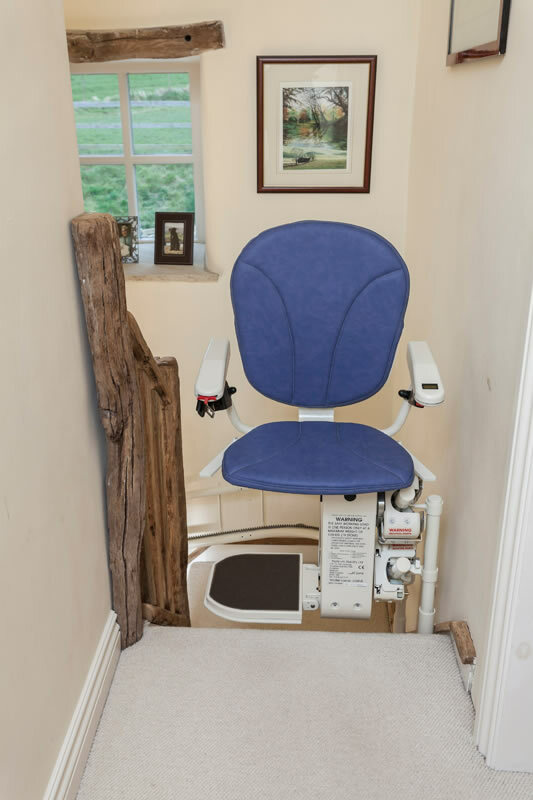 Now, all multi-level home owners can make their stairs handicap accessible without the use of elevators or vertical platform lifts. 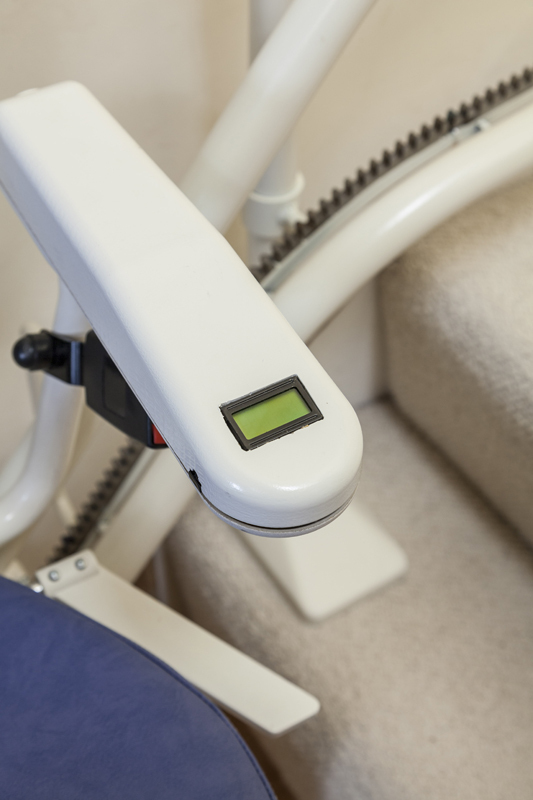 Whether you have multiple landings, a spiral staircase, 90-degree corners, 180-degree turns, or any other design challenges, we can craft the perfect solution to address your specific needs. 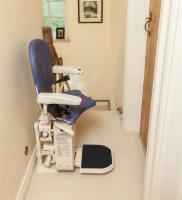 The Platinum Curved Stair Lift comes with a 264 lb. 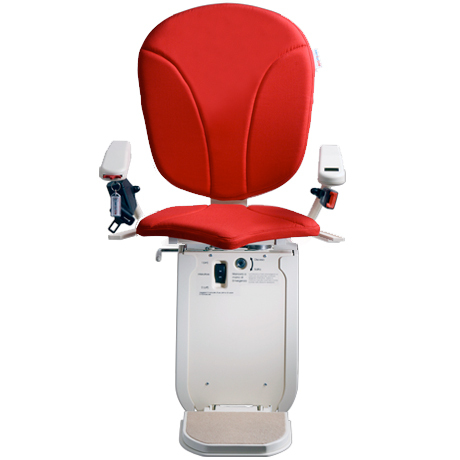 weight capacity and is designed to be as unobtrusive as possible and blend with your home just like any other piece of furniture. 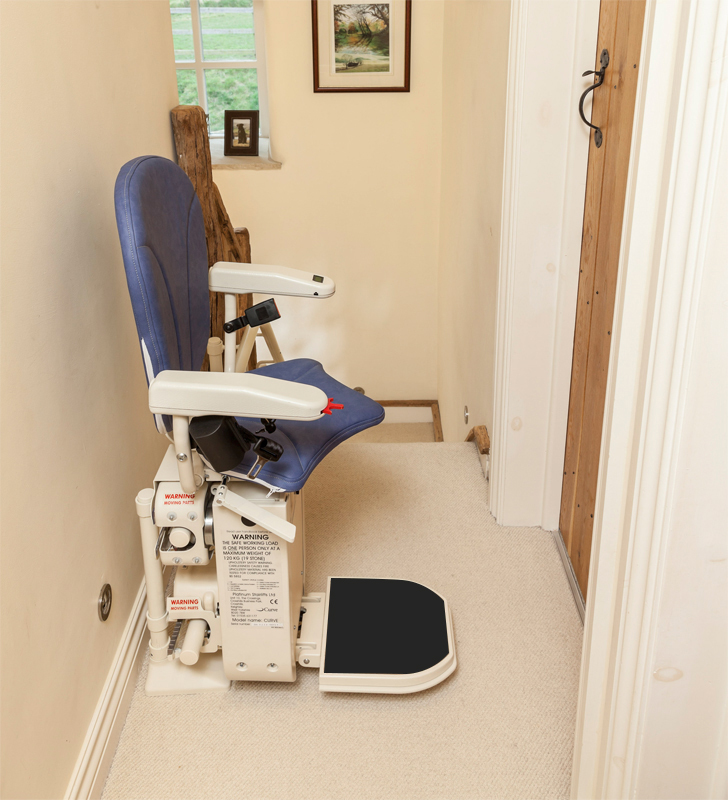 When you're not using your stairlift, the seat and footrest can be either manually or electronically folded up and out of the way, leaving plenty of room for guests and other members of your household to use the stairs as they normally would. Users will enjoy the comfort of the ergonomically designed padded seat cushion and the twin rail mechanical leveling system provides a steady and gentle ride up, down, and around the corners of your staircase. 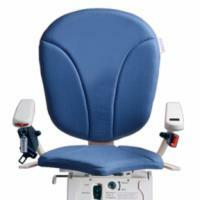 At AmeriGlide, safety is always a number one priority, so the Platinum comes with a retractable seatbelt, pressure sensitive carriage and footrest, as well as a swivel seat that makes sitting and standing up from the lift easy. 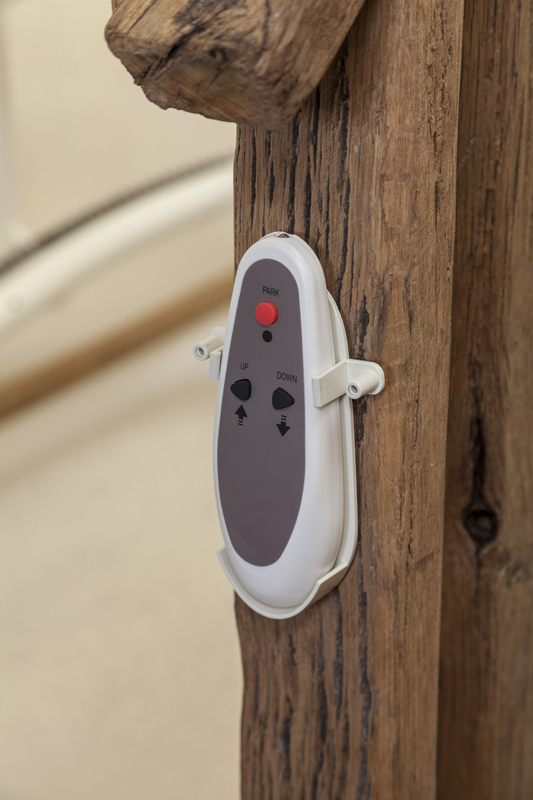 There are also a number of sensors to detect any obstructions that might pose a safety hazard. 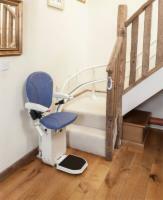 AmeriGlide stair lifts are known for their exceptional craftsmanship and the Platinum Curved Stair Lift is no exception. 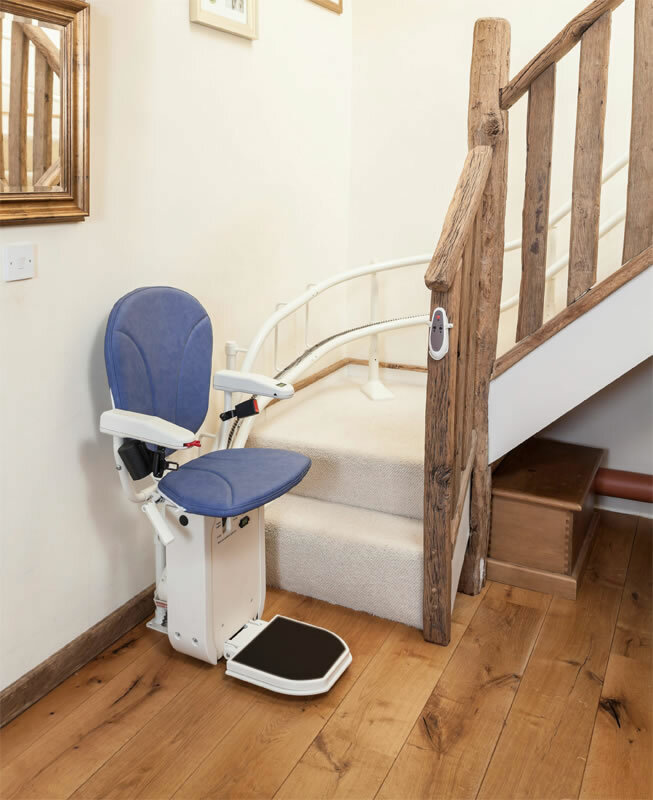 We are very excited to bring one of the first curved stair lifts to the online marketplace and we know that you will love having this amazing stair lift in your home. 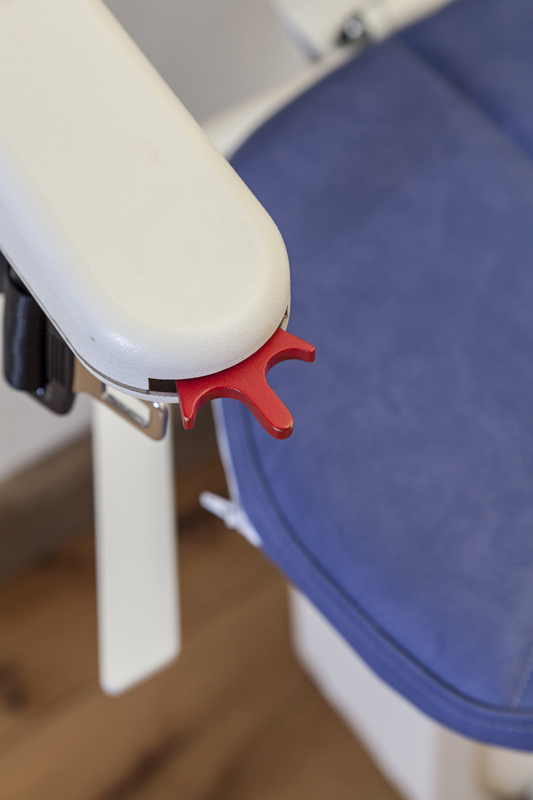 At AmeriGlide, we understand that some of our customers are on a tight budget and may be looking for ways to save money. 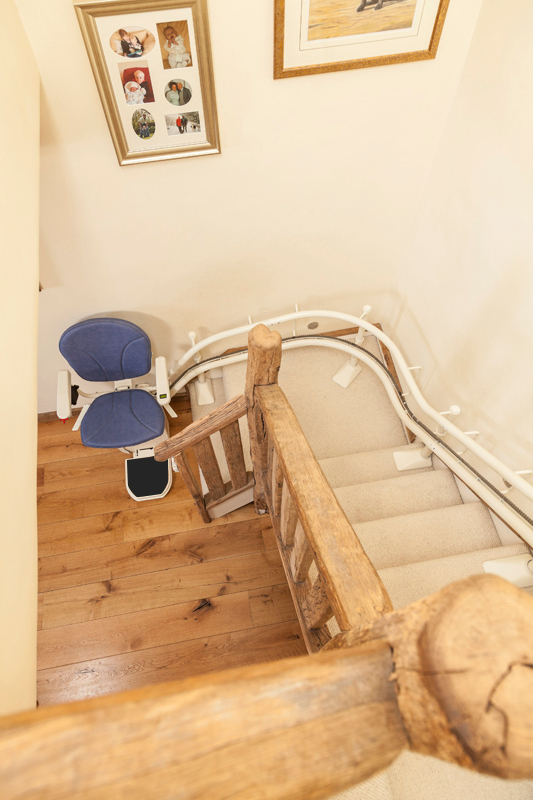 That is why we also offer the AmeriGlide Platinum Curved Stair Lift -Demo model, which will look and operate like new while costing you less. To learn more about your options and order your Platinum stairlift, contact one of our stair lift experts today.